The Serra de Tramuntana mountains in the northwest with his Mallorca is for property owners and tourists with its spectacular landscape of a beautiful and varied region. 1070 km ² and is located in the northwest of Majorca. Mallorca's highest mountain chain, the Sierra de Tramuntana is about 90 km long. Highest mountain in the Sierra de Tramuntana, while the highest mountain in Majorca, the Puig Major is approximately 1445 m. The Sierra de Tramuntana is the most water of Mallorca, in the Puig Major are the two big water lakes "Embassament-de Cuber and Gorg Blau de" Mallorca. 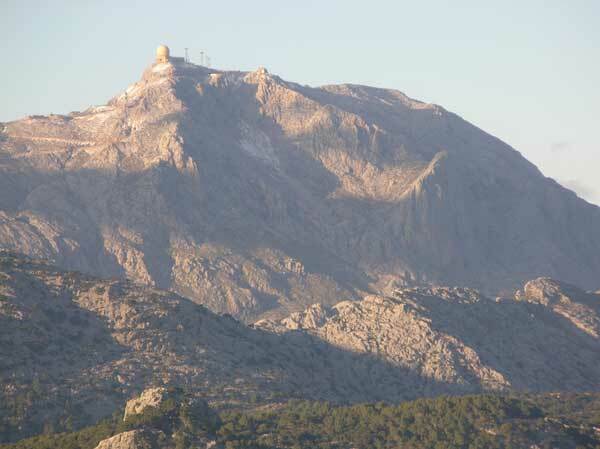 In winter, the peak of Majorca, Puig Major, Teix, Massanella Tomir and are covered with snow. Bunyola Mallorca holds record rainfall expected over the year and the 19th Century was even built in the mountain village of Majorca ESPOL first waterworks. 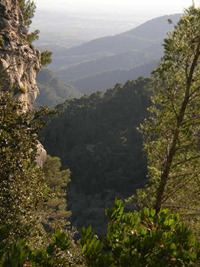 The vegetation of the Sierra de Tramuntana is very abundant in comparison to other regions of Mallorca. 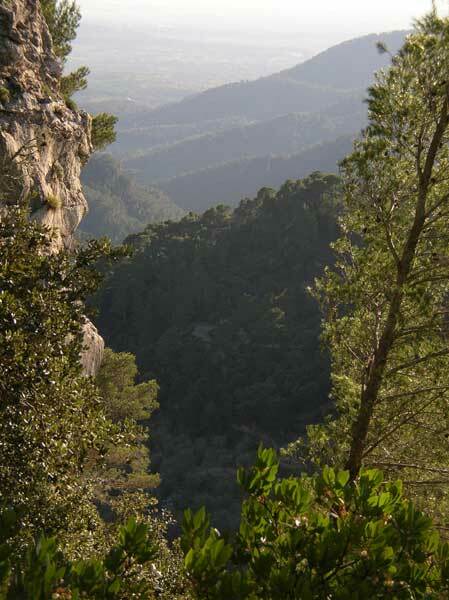 In the Sierra de Tramuntana, there are oak forests, olive groves and pine forests. From the time of the Arabs to come to Mallorca crops (fruits, vegetables, grains, etc ...) that were created in the terrace cultivation with sophisticated irrigation systems. The Sierra de Tramuntana is ideal for trips of all kinds Well-developed roads and trails and yet much of the natural Sierra de Tramuntana into one of the most beautiful and interrasantesten destinations in Majorca. The "Torrent de Pareis" in the Cala de Sa Calobra is the second largest canyon in the Mediterranean region and largest in Majorca. After the descent of 4.5 km, which should be taken exclusively in the company Specialized in attack, the handsome reward "Sa Calobra. The Gorge "Torrent de Pareis" is the home of the only very rare (about 50 pieces on Mallorca) black vulture (with its impressive wingspan of up to 3 m). In 1979 there also exists only one on Mallorca Krötenart was discovered. Although the country of the Sierra de Tramuntana is fertile with plenty of water, life here was a challenge. The mountains of the Sierra de Tramuntana repeatedly demanded victims, either by cascading rock or through their own crash. The Sierra de Tramuntana is sparsely populated. Bunyola comes from one of the best olive oils in Mallorca. 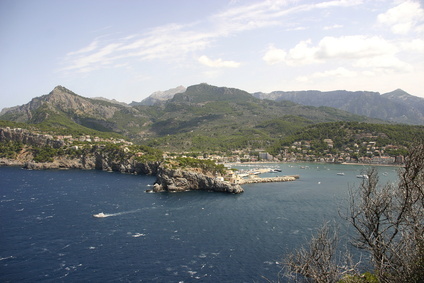 Soller in Mallorca is the "valley of gold" known - the name it owes the orange-tree plantations. The lush pastures are well suited to animal husbandry. Today the Museum-estate "La granja" when it Porl be visited - a real piece of history Mallorca - you get a glimpse of a farm as he was formerly a time. Road construction and exploration of the Sierra de Tramuntana. E.g. the Strait of Port de Pollenca to Cap de Form Enter, "the snake" - the road to Sa Calobra are masterpieces of road and not spoil the landscape, but are divided one is as though the nature of these roads so provided has always been - a further Landmark Mallorca! From the 90's can be achieved through a tunnel. Do not miss also the lighthouse built in 1862 and viewpoint "Cap Formentor" of literally 300 meters above the sea. This is where the winds of Mallorca. The views are bemenkenswert! Up Menorca Cala Figuera in the east and the west. Just outside of Pollença is one of two well-preserved Roman bridges Mallorca (about 2000 years old and remarkably). Pollensa has to offer even more attractions: eg: the 1236, founded by the Knights Templar church of Our Senyora dels Angels "or the palace of the Templars. The current building was in 1697, founded by the Jesuit church. In the Dominican monastery of 1578 now find a lot of concerts and music festivals take place. Only in Majorca's Sierra de Tramuntana, there was the "Nevet" the snowmen of Mallorca - they came for the winter snow and ice from the mountains and kept them in snow houses "casas de re" on. In the warm summer Mallorca deserved then with ice in the valley their money. 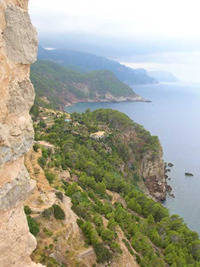 Since 19 Century came more and more foreigners to Mallorca and in the area of the Sierra de Tramuntana. 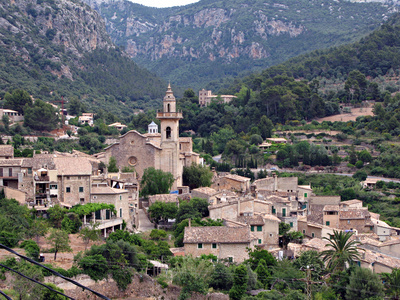 Places like Deia, Pollença, Sóller Valldemossa and were transformed. 1912 a railway line from Sóller to Palma de Mallorca was built. 1838 the French writer Geoge Sand wrote during their stay in Majorca, the book "A Winter in Mallorca". She spent the winter with her lover (Frederic Chopin - the famous composer) in Valldemossa. Pirates on the coast of Mallorca. In Port de Pollença and Port de Soller mighty towers bear witness to the time of the pirate attacks on Mallorca.